Music education is an important yet often overlooked aspect of early childhood learning. If you're looking for a good way to introduce some music into a child's life, help them build their own homemade brass instrument. 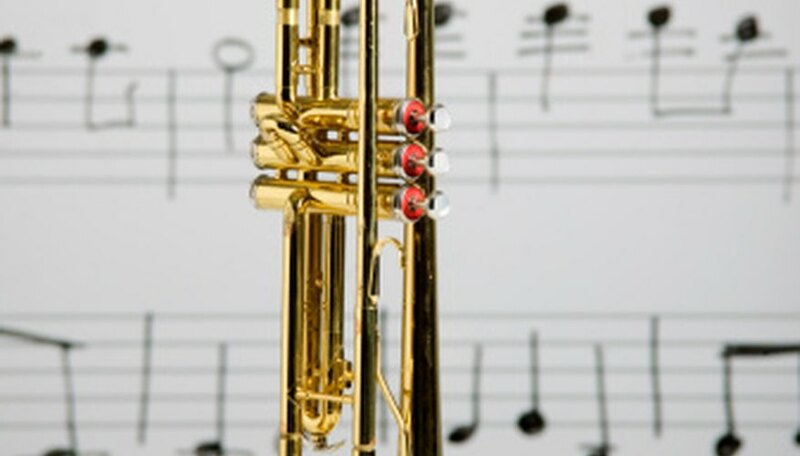 By building a trumpet or a bugle, a child will learn how brass instruments produce sound and, by customizing the creation, they'll see how certain changes will affect pitch, tone and overall sound. The mouthpiece is the part of any brass instrument through which the musician blows to create vibrations that resonate through tubes to produce sound. Make your own mouthpiece by cutting the top off a plastic two-liter bottle about an inch below the bottom of the cap. Remove the cap and insert the mouth of the bottle into your instrument, then press your lips against the inside of the mouthpiece. Buzz your lips as you blow to produce sound. Gather an empty paper towel tube, a sheet of construction paper and a plastic soda bottle. Cut the neck of the bottle so it's just larger than the circumference of the tube. Insert the mouth of the bottle into one end of the tube. Roll the construction paper into a funnel, trim off the end and fit it over the other end of the tube. Tape the funnel in place and buzz your lips against the mouthpiece. Cut a four-foot length of garden hose, form a loop and wrap a piece of duct tape where the ends overlap. Insert the small end of a funnel into one end of the hose and wrap it with duct tape. Press your lips to the other end of the hose and buzz to produce sound. You can also simply insert a trumpet mouthpiece into the open end of the hose and wrap it with duct tape. Customize your homemade instrument by changing the size or length of the tubing to alter the pitch. Try using a longer piece of garden hose on your trumpet or loop it twice to see what sound it creates. Switch out the paper or metal funnel for a plastic funnel or for one that's smaller or larger. These alterations will also change the sound that your homemade brass instrument produces.